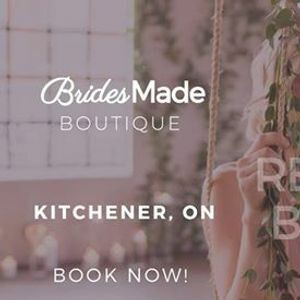 Book your 1-hour appointment now with one of our stylists to try on our beautiful bridesmaid dresses at the BridesMade Boutique! 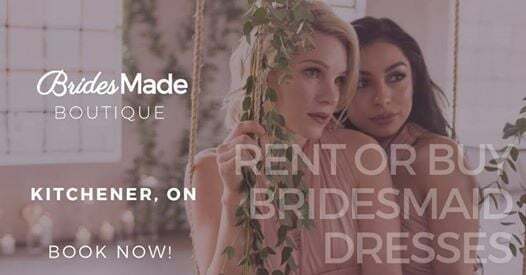 We'll help you find the perfect colour and fit for the wedding – each bridal party will receive their own coupon code to use towards their final rental or purchase. Limited space is available, so book your spot today! Don't see a time that works for you? No problem, reach out to our stylists at c3R5bGlzdHMgfCBicmlkZXNtYWRlICEgY2E= and we'll see if we can help! 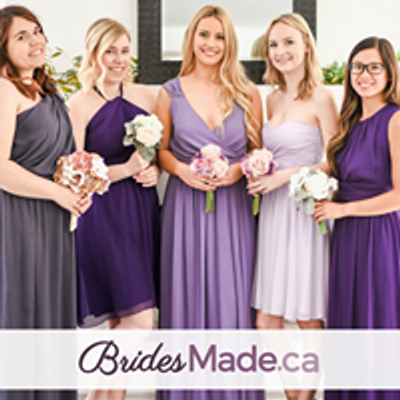 Check out our website www.bridesmade.ca for colours, dress collections and inspiration for your wedding day!